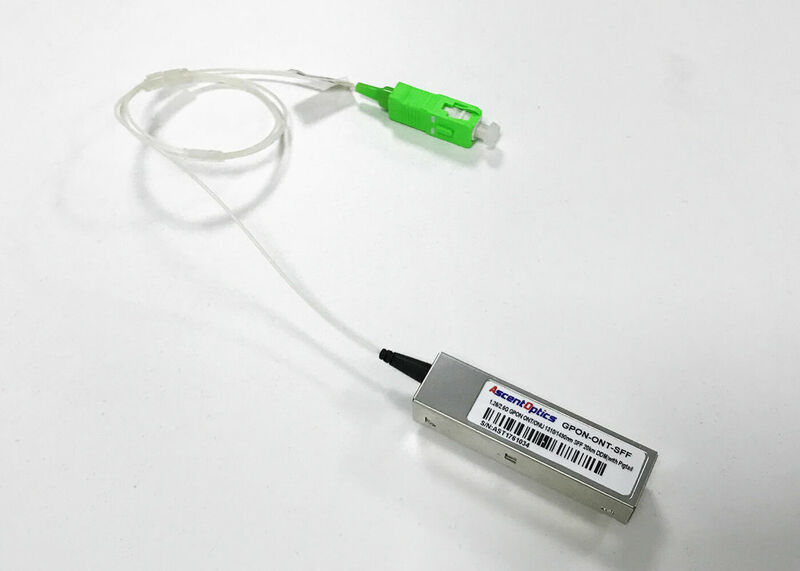 The GPON ONT Transceiver is designed for Gigabit-capable Passive Optical Network(GPON)transmission. The module incorporates 1310nm burst-mode transmitter and 1490nm continuous-mode receiver. compensation circuit, which are used for keeping the launch optical power and extinction ratio constant over temperature and aging. The receiver section uses an integrated 1490nm APD photodiode and preamplifier mounted together. It has the function that indicates receiver signal-detected status (active high). An integrated WDM coupler can separate 1490nm input light and 1310nm output light. The metallic package guarantees excellent EMI and EMC characteristics, which totally comply with international relevant standards.